Wake up with increased energy levels and go off to change the world every day (without coffee) by consuming a doze of natural sunlight coming through a skylight in your roof! Having skylights in your home allows you to get closer to nature and makes you feel more alive. There are numerous benefits, but the most important one is that a skylight transforms your living space from boring to WOW! This guide will help you understand 10 essential things you should consider before installing skylights. your options and select a skylight that fits your needs and remodel budget. 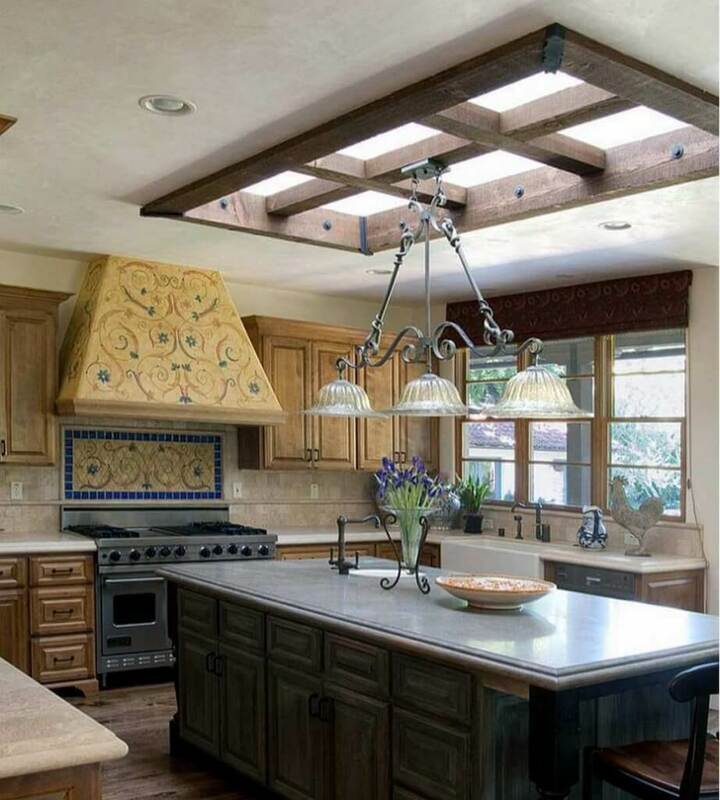 Different types of skylights will have different price points. The types of glazing, mounting and other accessories desired will also affect the final cost. Once the skylight itself is purchased, the cost of installation and materials must also be added into the equation in order to provide a true apples-to-apples comparison. Here are some general cost ranges to help you budget properly. These babies cost at least $1200-1500 just for the unit itself. 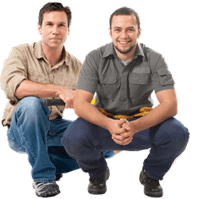 But consider that it will cost you $400 or more to hire an electrician to feed wires for electric vented skylights and the cost suddenly is not that high, while the benefits are awesome! 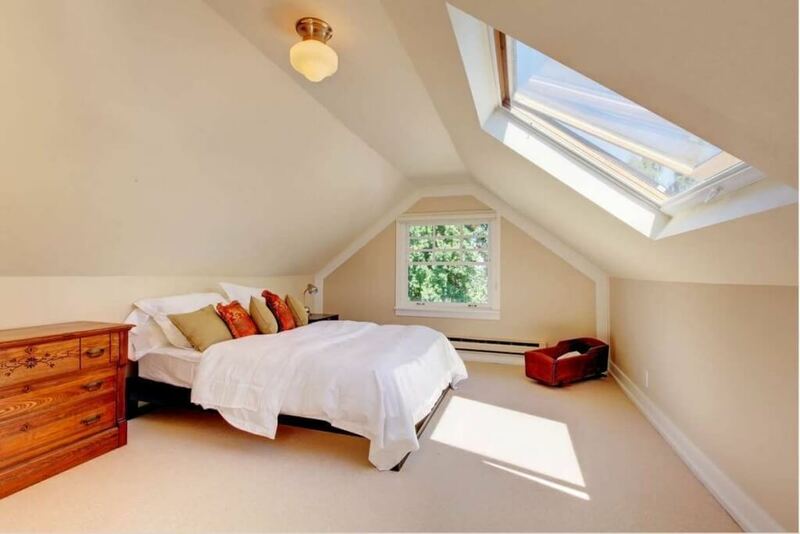 The main downside of the vented skylight is generally the higher cost. A fixed skylight can be purchased for $150 to $500, where as a vented option with a crank handle will run between $300 and $600. If a vented skylight has a motorized opening with a remote, the price can go as high as a $1,000. Add in heat and rain sensors and the cost might be closer to $1,300. A motorized skylight will also require electrical wiring, increasing the cost of installation. Add in the option of mini blinds and you’ll bump up the total cost by another $200 to $300. Planning for a skylight is very different from planning for a window. There are several factors you should take into consideration. The first consideration is the intent of the skylight. What are you trying to achieve? A skylight primarily installed for capturing a view will be very different from one that is used to simply add more natural light to a small area. If you want the view of the stars at night, but don’t want the glare of the morning sun, that requires certain considerations and accessories to ensure that you get one while avoiding the other. This is likely the most critical piece in the planning process. There are so many factors to take into account. What will it look like from the exterior, on your roof? How will it fit into interior ceiling design? Will its placement fit with the sun’s trajectory path that you desire to capture or avoid? How will the pitch of the roof affect the way light is transmitted through the skylight? All these questions need to be addressed in determining the proper placement of every skylight. The purpose and placement of your skylight will have a major impact on its size, shape and type. When it comes to size, the rule of thumb is the larger the better. Do you want to run to your skylights and crank them down (by hand) every time it starts to rain? Don’t overlook the various accessories and options that can increase comfort and convenience. It is much better to include them in your original purchase than to wish you had after the fact. 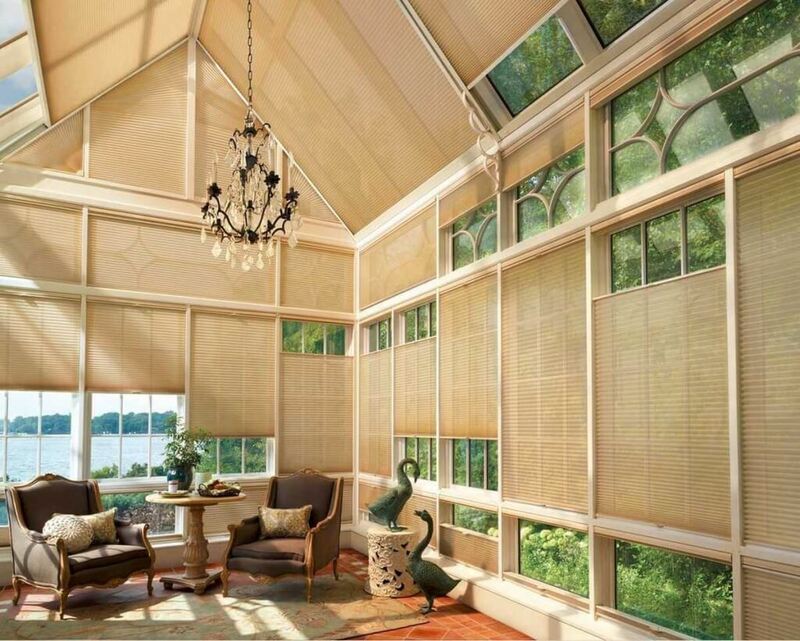 Blinds and horizontal shades that can shut out light when you need to can be one of those ‘wish I had’ accessories. The same goes for the decision on whether to purchase a fixed skylight or one that opens. When discussing types of skylights, generally we are making comparisons of opposing options or components—fixed vs. vented (those that open), flat or domed, glass or plastic. Each type has its own set of attractive features. You might assume the decision on this option might depend on the accessibility of the skylight, but that usually isn’t the case. With remote controls and long-reach operating extensions, height is seldom an issue. The primary determination between these two choices is whether you want to use the skylight as a vent to let air out, or simply as a source of light and outdoor viewing. The fixed skylight’s main selling point is that there are simply fewer things that can go wrong with it. It will never get left open and allow rain into the room. There is no opening mechanism to fail. 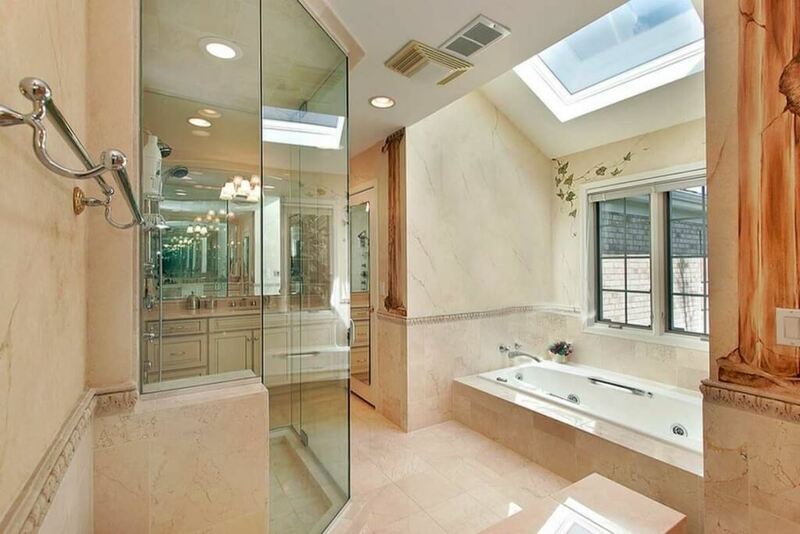 Vented skylights can be purchased with either manual or motorized opening mechanisms. These mechanisms allow you to open and shut the skylight, letting out heat and moisture from the interior of your home. Those that are motorized provide added convenience. Some vented skylights operate by remote control or a wall switch. Others have heat and rain sensors that tell them when to open and close automatically. Either of these electronic options will require wiring. Manual controls are also available. This is usually a long extension rod, which is used to crank the skylight open or closed. Most skylights are made either of glass or plastic. Glass will generally provide a clearer view and can have insulating factors that aren’t available with plastic. 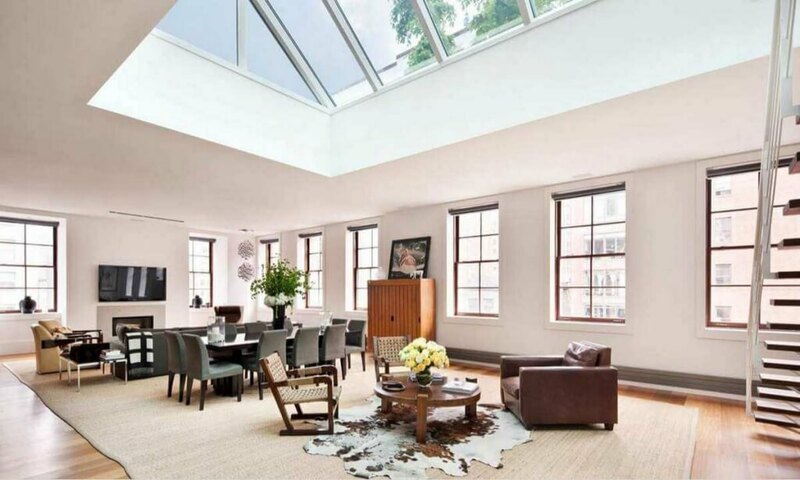 For especially tight spaces, tubular skylights are often used. The tubular shaft generally has a reflective coating that helps maximize the illumination. Most other products require the framing of the shaft to be an architectural feature of the home. Skylights come in just about every geometrical shape – squares, rectangles, ovals and circles. 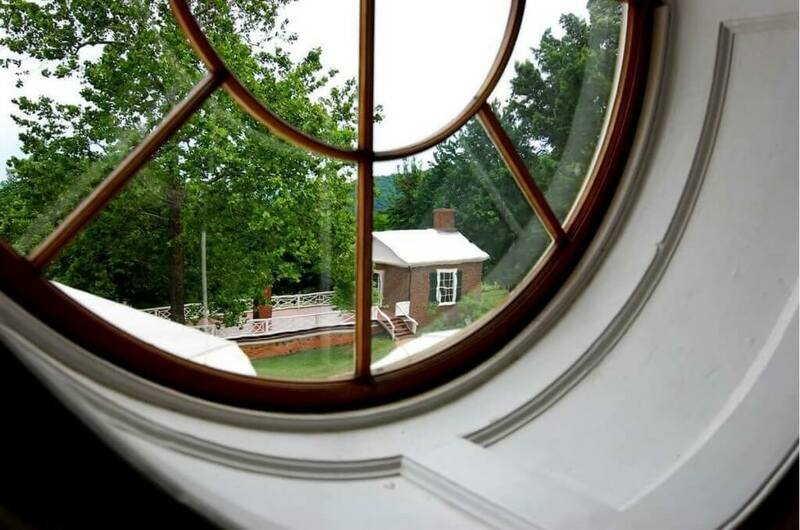 Oval and circular options will usually have plastic glazing and are more likely to have a domed shape. Flat, squares and rectangles are usually glazed with tempered glass. Skylights can range from a small 8” tubular window to a one that runs the length of your roof ridge and every size in between. 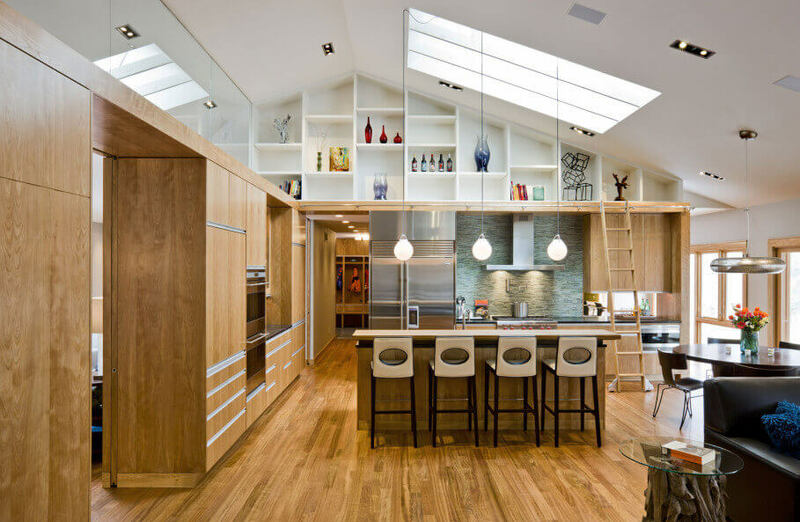 For most skylights used in homes, the space between the home’s roof trusses determines the maximum width or diameter of the skylights used. Most modern homes have trusses spaced 24 inches apart, while some older houses may have trusses closer together, at 16 inches apart. 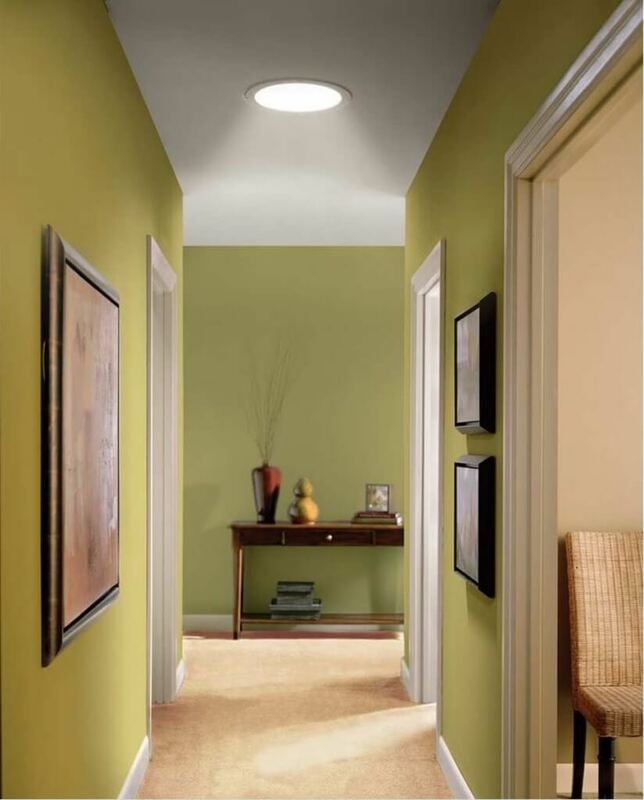 The other measurement that is usually considered when deciding on skylight dimensions is the size of the room. The general consensus is that the area of your skylight surface should be 5 to 10% of the area of the room. Although glass is a common glazing for skylights, there are certain situations where plastic might be preferred. When a lower weight and/or a lower price is a top priority, plastic will fit the bill better than glass. Another advantage of plastic is its durability, but for clarity, scratch resistance and an unlimited selection of sizes and styles, glass will always be a better option. The glazing you choose, glass or plastic, also factors into your choice of flat or domed surface skylights. Domed products will generally be made from plastic, where as flat ones could be either plastic or glass, but are more likely to be made with tempered glass. Which configuration you choose will depend on several factors. A domed skylight will often provide a stronger, more durable surface, but may be a negative when it comes to aesthetic appeal. Domed or bubble options are typically used on flat roofs to decrease snow load and to avoid breaking the glass. You won’t need any curtains or drapes for your skylights, but you may want shades or blinds to block out the heat or damaging UV rays of the sun. In bedrooms, room-darkening shades may be in order. Interior cellular blinds, vertical blinds or shades come in different materials and heat/light blocking abilities. Some brands of skylights will also offer blinds installed between the panes of glass, which eliminates any need for cleaning. Exterior solar shades and awnings can be helpful for protecting against the heat and UV rays of the sun, as well as decreasing heat loss in lower evening temperatures. 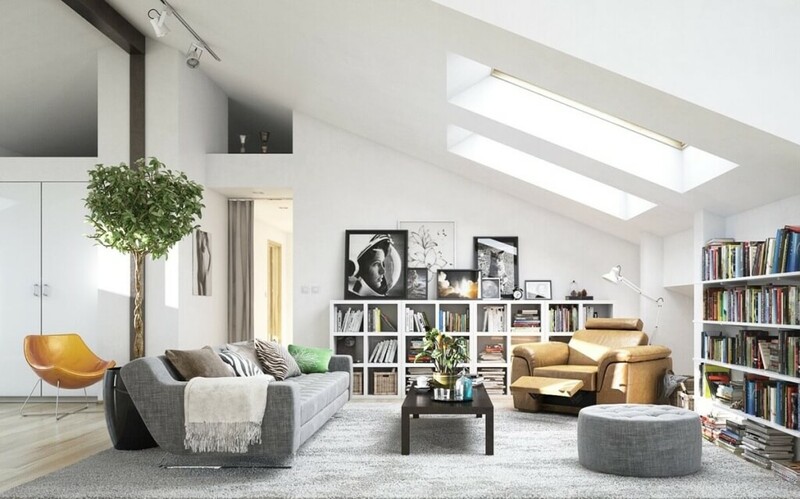 Your skylight can be a source of energy savings in two different ways, one through saving on electricity and the other through saving on heating. You’ll need to review and understand the different ratings associated with how a skylight transmits light and transfers heat to select one that best meets your energy and lighting needs. As you review sky lights from different manufacturers, you will often see a Visible Light Transference (VLT) rating. Some skylights may instead list a UV blockage number. Both of these relate to the amount of bright sunlight that will be transmitted through the skylight. 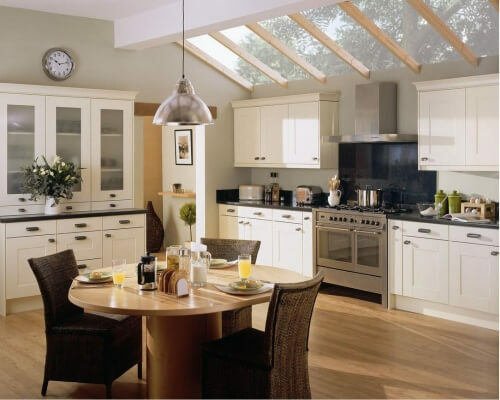 Direct sunlight can fade and negatively affect your furniture and cabinets. A tinted glaze on your skylight can lower your VLT rate and increase the UV blockage. If sun damage is a concern for your kitchen, bedroom or other living area, be sure to take these light ratings into consideration. Energy ratings can be confusing, so understanding the difference between these three ratings is important. R Value and U Value are both measurements of heat flow, but they measure it in opposite ways. When looking for energy efficiency, you want a higher R Value and a lower U Value. Shading Coefficient measures solar heat gain. If you’re expecting your skylight to provide extra warmth from the sun, you’ll want a higher rating in the Shading Coefficient measurement. I am interested in installing 3 X (16″ X 4 Foot) Tempered double-insulated with low-e coatings and argon gas between the panes skylights with manual crank vent on a slate roof in northern Virginia. Does a slate roof introduce the risk of leakage? Can you suggest an installer who has experience installing skylights on slate roofs?